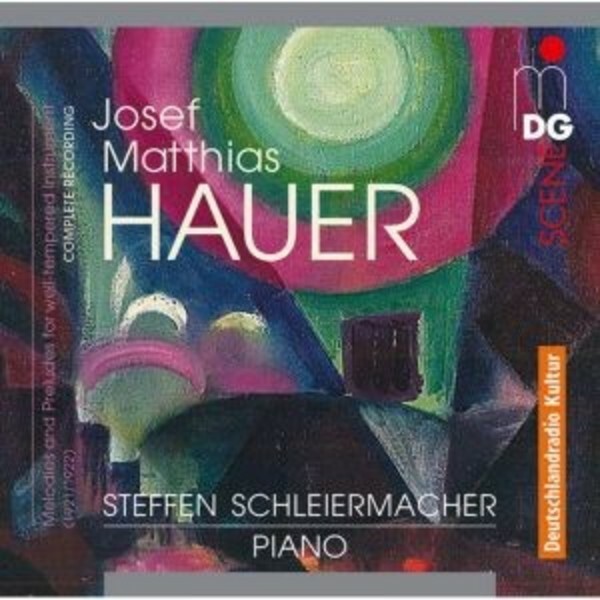 Like Arnold Schönberg, Josef Matthias Hauer composed with twelve tones, but with a very different result – if dissonance, harmonic tension, and the highest degree of expressivity mark the musical process in Schönberg, then Hauer’s music is free of all of the above. Of absolutely airy lightness, of extraordinary song character, and often concluding with euphonious major triads, Hauer’s preludes and melodies recorded here for the first time in complete form by Steffen Schleiermacher offer a compendium of this composer’s musical philosophy. Baritone Holger Falk and Steffen Schleiermacher have formed the dream duo for Hauer’s music. 1. Preludes For Celesta O.Op.